The system of education in Nigeria is not encouraging anymore, the government emphasis that they have played important role in education but who is to blame, is it government, the students, the lecturers or the vice chancellor,. none of the above will take the blame because the foundation of a good educational system was not laid from the beginning. 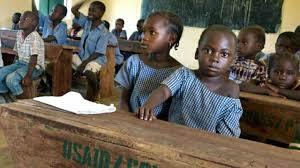 Some parents send their children abroad to study because of poor education system of education in Nigeria. education has affected both the young and adult. both primary , secondary and tertiary are suffering from poor quality education. Moreover, learned teachers and lecturers are no longer existing, Employment of teacher and lecturers is based on connection(WHO YOU KNOW). The educational system in Nigeria has discouraged a lot of people from going to school because of the results of they have seen around their fellow friends. education can no longer be trusted and guaranteed. Furthermore, in some states in Nigeria some students are facing lack of teachers, poor instructional material for the students, inability of ICT in education. Funmi Ajumobi & Elizabath Uwandu stated that as Nigeria continues to grapple with education sector such as funding, lack of infrastructure, poor standard and what people call unfit curriculum, among others, Dr Dolapo Ogungbawo, an educationist with over 40 years experience, says until nigeria addresses the quality of teachers the challenges would continue, Ogunbawo, who worked with the United Kingdom (UK) government at institute of education, University college,London for many years to find a way to help teachers raise the standard of education in the UK, was the principal of Green springs School and the first and only Nigeria principal. Grange school Lagos, She speaks in this interview on her passion to train and refine Nigeria teachers through her experience over the years with her self-funded foundation, TTNF. She laments that government failure to see education as a priority is why Nigeria is absent from the Programme of International Student Assessment (PISA) Scale, a global assessment system used in ranking schools.